I have invited the American Journal of Transplantation editor, Allan Kirk, to blog about some exciting changes at the AJT. Since its inception over 15 years ago, the AJT has been the leading journal covering both the science and practice of transplantation. We are very fortunate to have Allan at the helm of what is really one of the crown jewels of the AST’s education portfolio. As I’m sure most of you realize, the traditional model of print publication and deriving revenue from print advertising has been eroded by advances in electronic technology and the different ways in which readers now like to receive new content. Nonetheless, under Allan’s leadership, the AJT has managed to evolve and thrive in these changing and challenging times. Every month, the AJT receives a huge number of high-quality submissions for which it simply does not have the space to accommodate. Allan describes here a new journal referral program that will efficiently find a home for many of these excellent manuscripts among Wiley’s family of transplant-related journals. I hope that all of you will continue to submit your best work to our journal, and I am confident that you will be pleased with the level of service that the AJT team provides. Many of us remember the old days of journal publishing, when you submitted several paper copies of a manuscript by mail and received feedback in three months, at best. The move to electronic peer review transformed this experience into a remarkably efficient system that allowed for turnaround times of three weeks. Notwithstanding that progress, we have not yet taken full advantage of electronic possibilities in peer review. As academic publishing for clinicians and PhDs has become an increasingly complex demand on time, with difficulties in maintaining funding, it is important to rethink and improve the way we publish manuscripts. In short, we need to "help the doctor!" In the spirit of becoming more service oriented in our publishing, we recently welcomed a new approach toward facilitating the process of getting transplant manuscripts into the literature. 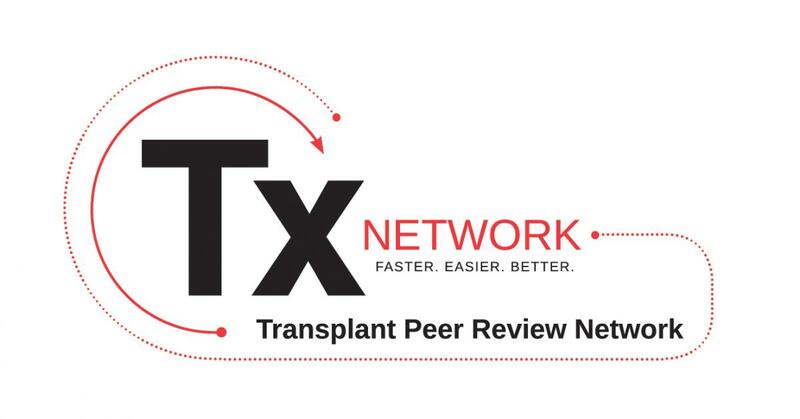 The American Journal of Transplantation is excited to be a founding member of the Transplant Peer Review Network, a partnership among seven Wiley-published transplantation journals that aims to reduce inefficiencies in peer review. The service allows for a manuscript and its reviews to be transferred to another journal if it is not accepted for publication at the target journal. The Network journals provide an easier process for authors by standardizing submission requirements across journals, and by providing an expedited review with a subsequent submission – no more reformatting a paper to resubmit. Also, reviewer and editor workloads are reduced by sharing already completed reviews and recommendations. We are fortunate that Wiley has made a commitment to highlighting their portfolio of transplant journals by introducing the Transplant Peer Review Network. The collaboration between the Editors-in-Chief is ensuring that journals get the right papers and that authors find a receptive home for their papers. We hope you will reap the benefits of this service by experiencing a better peer review process, and by gaining time for your other academic endeavors. Yes. I agree. It's good idea. it is long over due and it will add to the productivity of every author.